If you took Sephora's Flashy Mauve pencil, added a little more pigmentation, and made it into a cream shadow...you'd get this. It's not easy to get opacity out of this color. I had to apply more than I normally do, and then I had to wait longer for the stuff to dry. 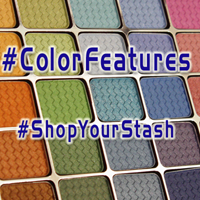 There are slight hints of blue duochrome in there, though, that make the color look good all on its own. 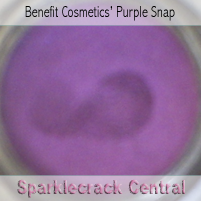 If you're looking for a candy-colored purple cream shadow, this might not suit your needs. If you're looking for something other than the standard taupes/neutrals/browns for use as either a semi-translucent base color or a subtle shade on its own, give this a try. It's exclusive to Sephora, which means that unless Benefit has special marketing agreements with Sephora to release this color at its international stores and boutiques later on, you'll have to get a friend to buy this color for you. I predict that while there will be plenty of folks who are thrown by the lack of opacity, there will be plenty of others who find interesting ways to use this color. I look forward to seeing what folks do with it!